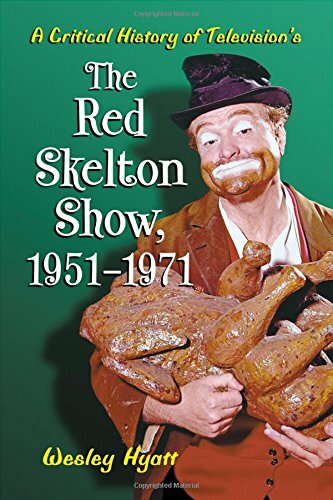 The Red Skelton Show is an American television comedy/variety show that, from 1951 to 1971, was an entertainment staple and an institution to a generation of viewers. It was second to Gunsmoke (1955–1975) and third to The Ed Sullivan Show (1948–1971) in the ratings during that time. In the decade prior to hosting the show, Richard Bernard "Red" Skelton, had a successful career as a radio and motion pictures star. Although his television series is largely associated with CBS, where it appeared for more than sixteen years, it actually began and ended on NBC. During its run, the program received three Emmy Awards, for Skelton as best comedian and the program as best comedy show during its initial season, and an award for comedy writing in 1961. In 1959 Skelton also received a Golden Globe for Best TV Show.